What is a Casement window & how much are fitted prices? A casement is really just the part of a window, and it usually refers to a section that fits within a window frame. 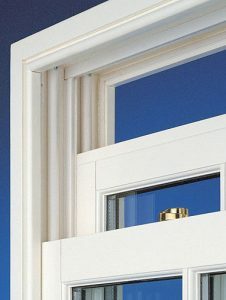 Typically a casement window will have more than one section, not all of which will open. If you have a window with more than 1 opening section, even though the opening sections within that window may open from the top (awning), bottom (hopper) or side (casement), most people will still class this as a casement window. Bigger casement windows can be seen in the form of bay or bow windows – bays are 3 sided rectangular or square projections windows and bows are those windows that curve outwards.